The Spirituality Center, located near Cincinnati, Ohio, provides opportunities for spiritual enrichment to the community through a wide variety of programs. We offer weekend/overnight retreats, private retreats, days of reflection, evening prayer programs, massage therapy, a labyrinth and provide individual spiritual direction for both men and women. Motivated by the Sisters of Charity vision to share our faith and resources, the mission of Spirituality Center is to provide opportunities for growth by deepening faith life, strengthening efforts toward community building, reaching out to the needs of the community and heightening awareness of Gospel values. Stemming from a belief that all life is sacred, our purpose is to unite faith with life experience in a holistic approach. This is an opportunity for a retreatant to share their prayer experience with a trained director in order to discover the movement of the Spirit. Spiritual Directors are available to meet with you as a regular companion on your life journey in relationship with God or to assist you dureing a directed retreat. Spiritual direction and private retreats are individually arranged by calling 513-347-5449. Group spiritual direction is also available. Our center has a staff of dedicated professionals who are available to assist you before, during and after your attendance at our programs. 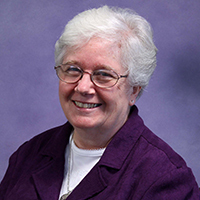 Sister Marty Dermody, SC, is the director of the Spirituality Center. Her ministry experience includes elementary education, preparing students for the Sacraments, and facilitating a student exchange program. 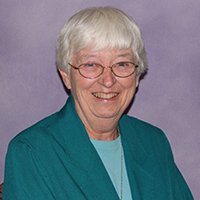 For 15 years (2000-2015), she served in the Sisters of Charity Communications Office as staff photographer. S. Marty has a Master of Arts in Religious Studies from Mount St. Joseph University. 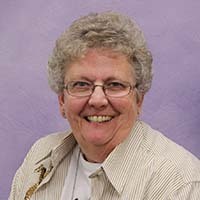 Maureen Heverin, SC, received formal training in Spiritual Direction at the Jesuit Renewal Center in Milford, Ohio in 1992. Her ministry experience includes elementary education and adult education, social service work, spiritual formation and leadership in the Sisters of Charity of Cincinnati Congregation. Presently Maureen’s ministry in the Spirituality Center includes spiritual direction (individual and group), directing retreats and facilitating various spiritual programs. 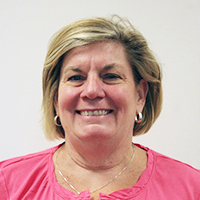 Sister Mary Fran Davisson, SC, is an Ohio-licensed, board certified massage therapist. She received her massage therapy training from the New Mexico Academy of Healing Arts in Santa Fe, New Mexico. Additional training includes: Healing Touch Levels I, II and III, Oncology Massage, Compassionate Touch for those in later life stages and Aromatherapy. She is also an Anat Baniel NeuroMovement® Practitioner.